6 Bedroom, 5 Bathroom lake view estate, with wrap around porch and in-law suite. Beautiful secluded lake front property on Lake Erie. 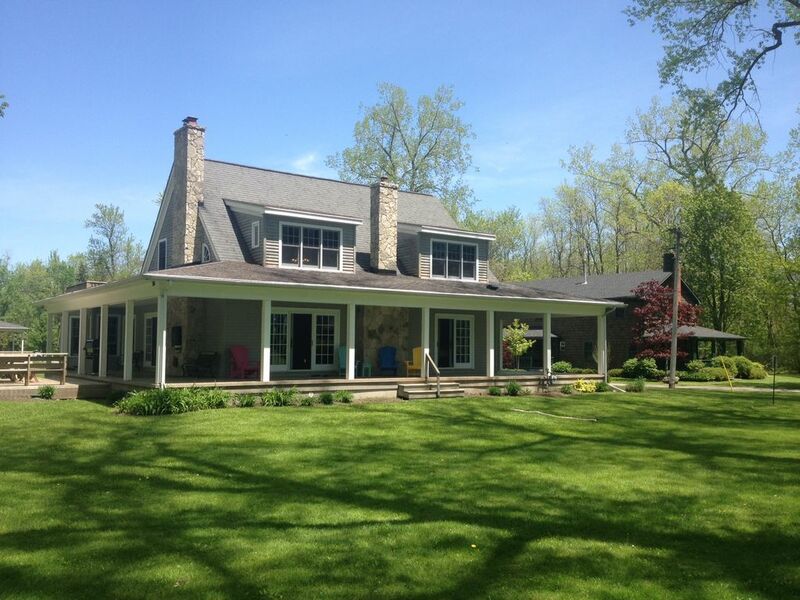 Located on one of the nicest private white sand beach's on Lake Erie. The house sits about 100yds from Crescent beach. The water is swim-able with a nice sand bottom. This 6 Bedroom home with 5 bathrooms is open and spacious and large enough to accommodate up to 12 people. Features a Wrap Around Deck. Attached in law apartment included with bedroom, sitting area, full bath and kitchen and has its own private deck. Spacious open treed lot. Lots of grass area for the kids to play and with a view of the lake.Close to Niagara Falls, Buffalo and Wine Country. Steps away from Niagara's Beautiful Bike Path.This is your perfect family beach vacation. Please note we rent by the week and on a Saturday to Saturday basis during the summer. Lots of spices, plastic wrap, tinfoil etc. Fully Stocked Kitchen, lots of plates, silver ware, pots pans etc.